« Easy Street Step Five and Some Additional Bonnie Work!! Well, almost to the end of Easy Street! Thanks to Bonnie Hunter here for yet another great mystery!! I’m thinking I’m all ready to stitch these babies together – see them all lined us waiting? Then, what to my wondering eyes should appear? A block out of order hiding under there!! 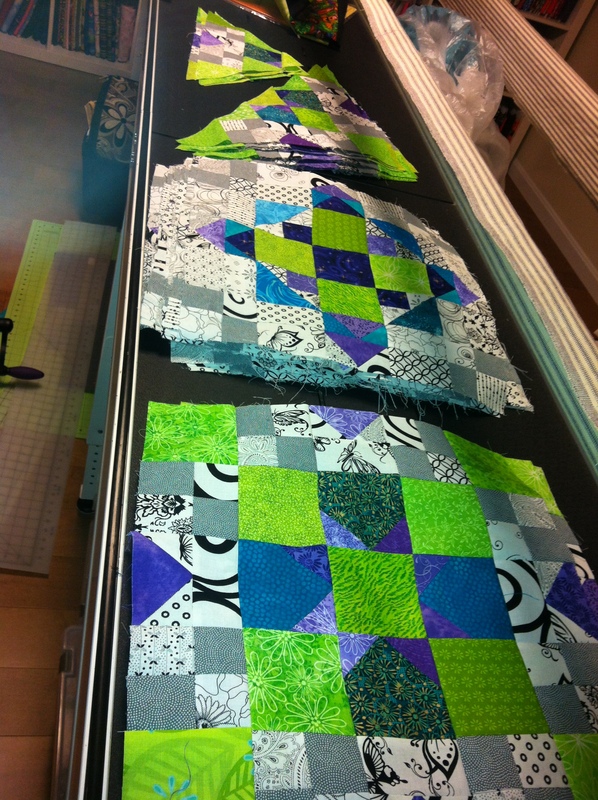 Oh well, here are 4 blocks to give me an idea of what they will look like together. The colors are actually a lot brighter in real life! I think I’m going to like this! 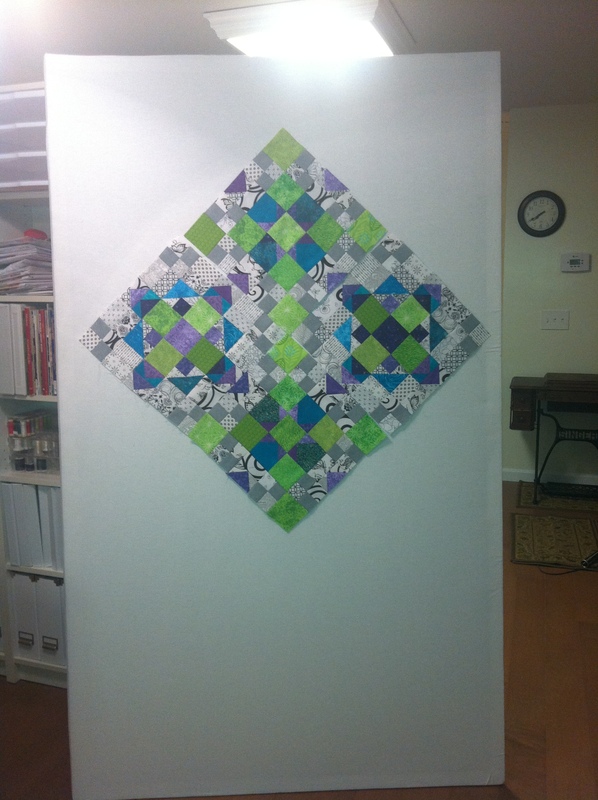 I’ve decided to back it with one of the greens and will probably finish it off with a purple binding. No borders for me on this one!! 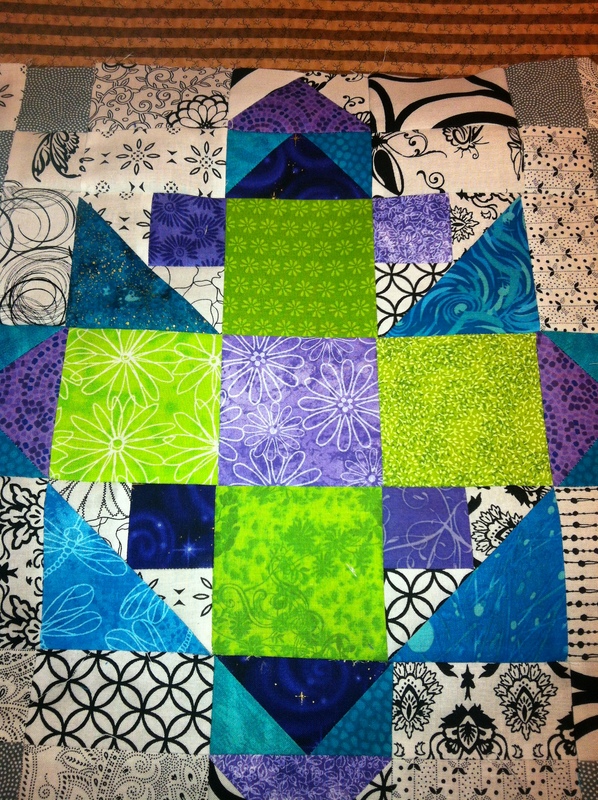 If you want to see all of the great colors chosen by some great quilters, check out Bonnie’s Monday link-up.